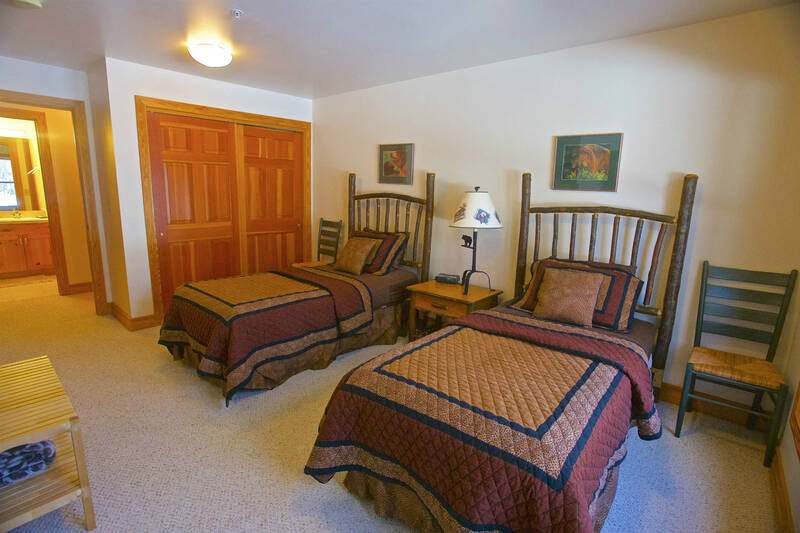 1350 sq ft ground floor condo at Teton Creek Resort, which has 2 community hot tubs and is just 9 miles from Grand Targhee. 3 bedrooms (2 masters), sleeps 6. 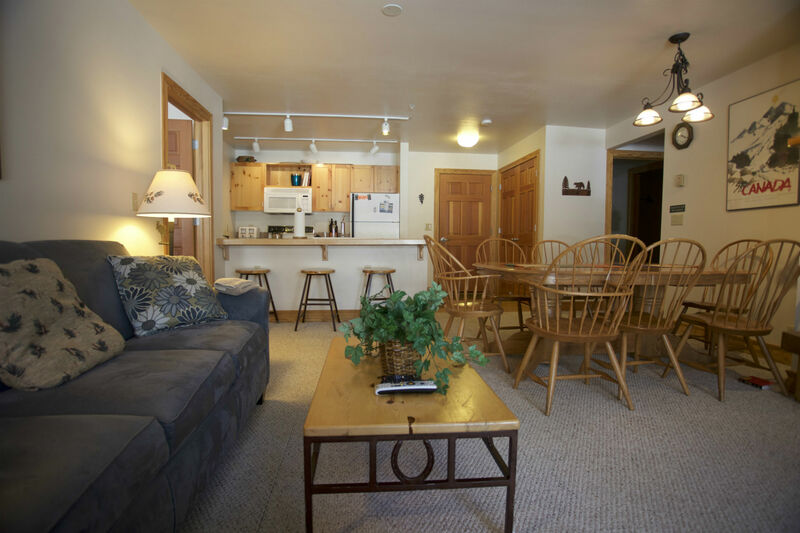 2 masters in this great condo! 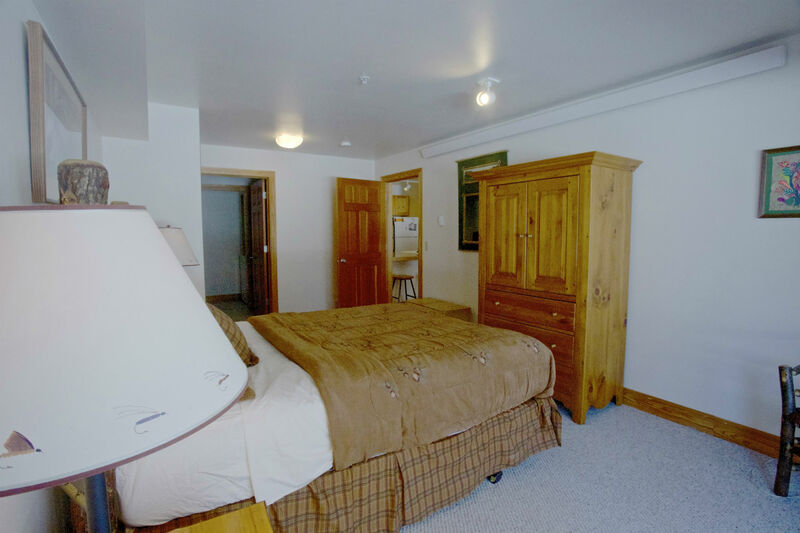 King in 1st master (with TV), 1 Queen in 2nd master (no tv, sliding door to South patio), 2 twins in 3rd bedroom. 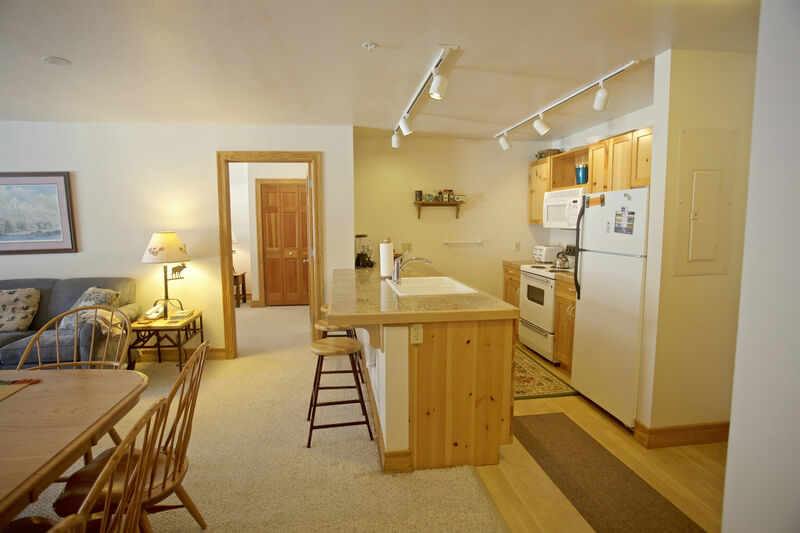 Fully equipped with microwave, dishwasher, coffee maker and grinder, blender, toaster, crock pot, dishware for 10. Dining table seats 6 plus 3 bar stools. Cozy living room with propane fireplace, comfortable sofa and two plush chairs. Sliding glass door opens to South facing balcony with propane BBQ. 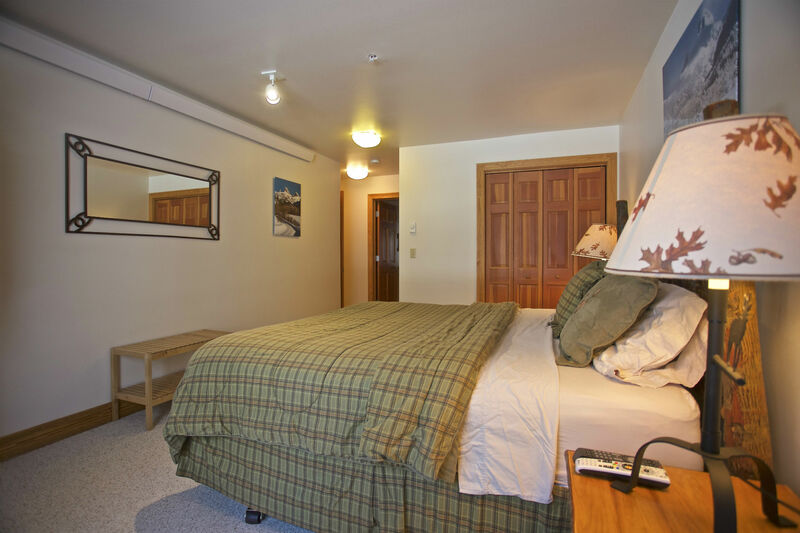 Dish Network TV with America's Top 120 package, Living room and King bedroom have TVs and DVD/Blueray players. Washer and dryer in the unit for your use. Two large outdoor hot tubs on the premises for renters use. Lighted walking paths surround the complex. 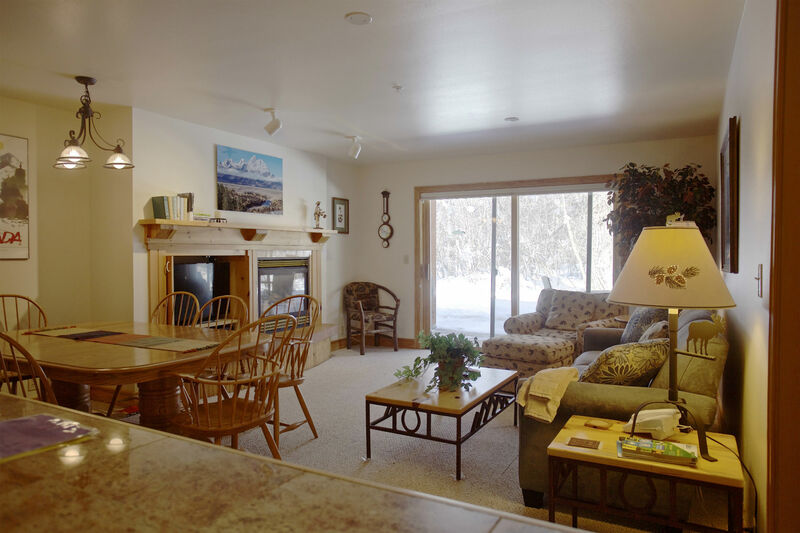 Home has wifi internet and is well appointed with custom photographs and fun art from owner's travels.